If you’re looking for some FREE Christmas printables you can use for holiday centers, fast finishers, homework, or as a holiday option during your classroom Christmas party, check out these four December Holiday Fun Activities. Includes math, US geography, letter writing, and partner game printables. These ideas are perfect for kids in 2nd, 3rd, or 4th grade classrooms. 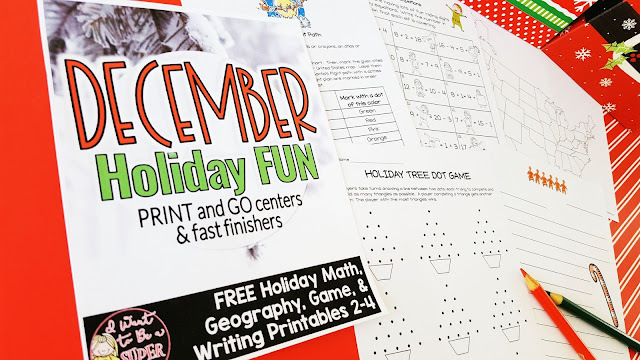 The FREE December Holiday Fun pack includes an Elf Equations math activity, Santa’s Flight path US geography practice, letter writing paper, and a Holiday Tree Dot Gameyou can use to save a little sanity during this crazy month! These ideas are FUN for kids and NO PREP for you! 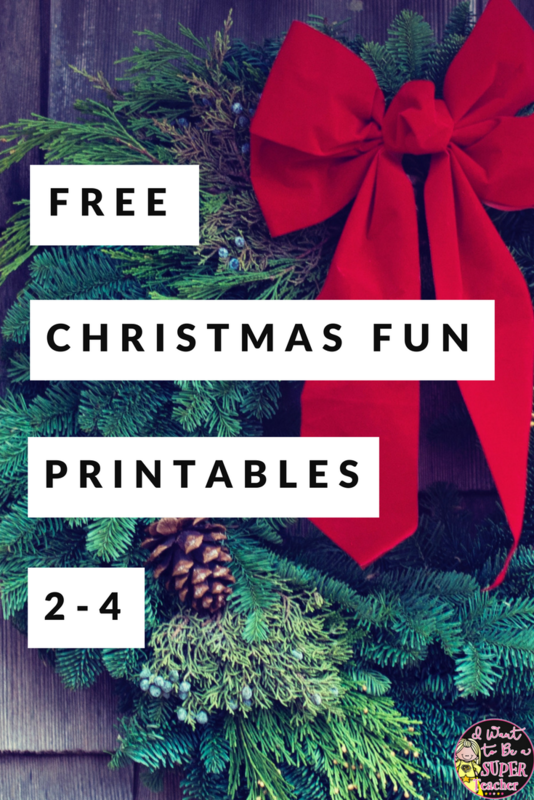 CLICK HERE to download the December Holiday Fun Freebie pack from my TpT store. Want more Christmas ideas and resources?